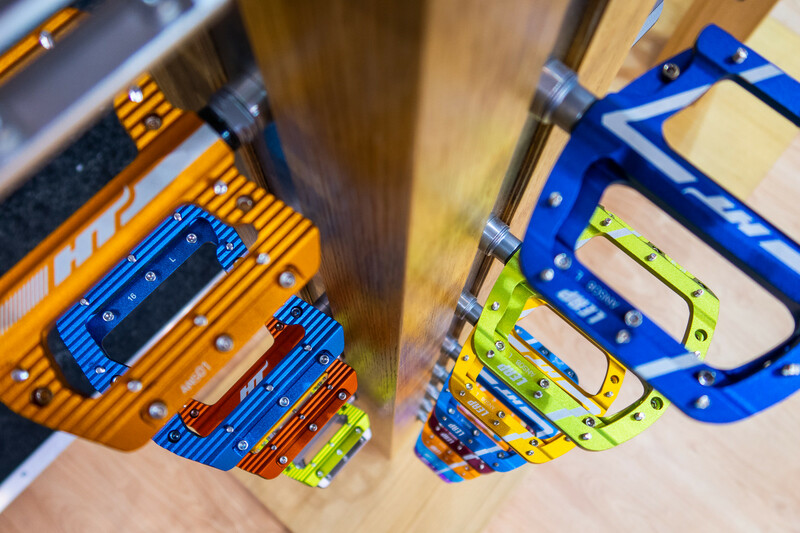 HT Components showcasing both affordable and high-performance pedal options. HT was showing two new price-conscious clip in pedals. The GT1 and GD1 each feature forged aluminum bodies, DU bushings, chromoly axles, and replaceable ration pins. 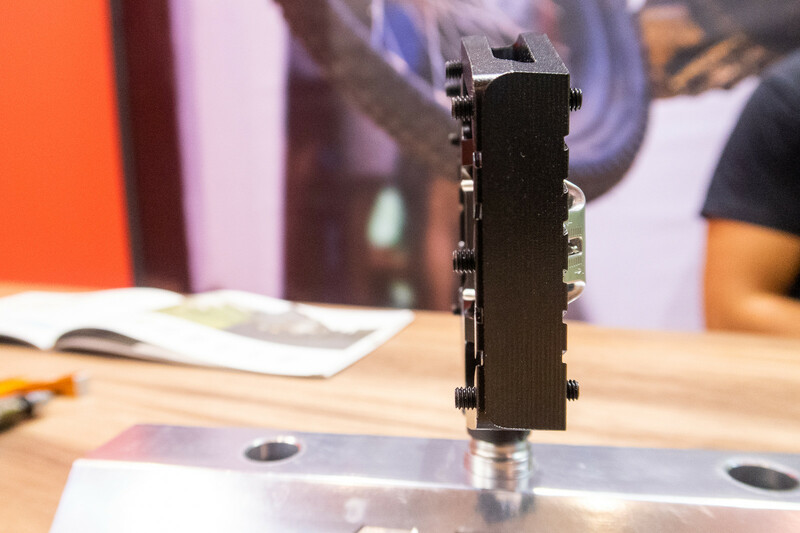 The dual-sided GT1 is an all-mountain/enduro pedal while the single-sided GD1 is intended more for e-bike or commuter use where the rider may not always want to be clipped in. Both pedals will retail for $70. 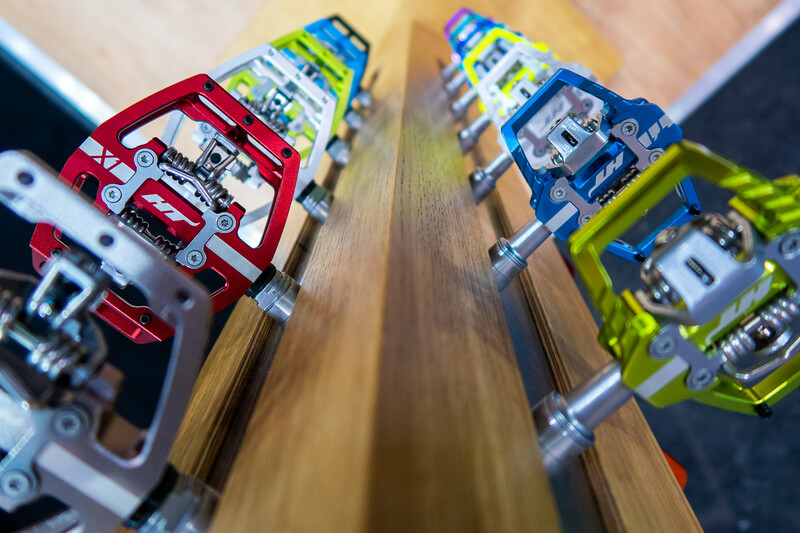 High-end HT pedals feature the new EVO+ spindle and bushing design. 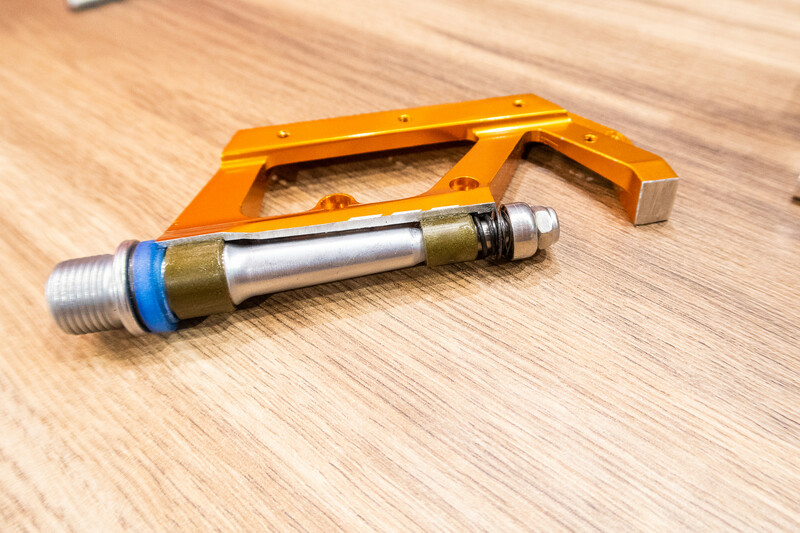 By using German made IGUS bushings and a high-performance grease, HT claims the new system has two times the performance and longevity of their previous design. Additionally, EVO+ allows for the pedal body to be made even thinner.